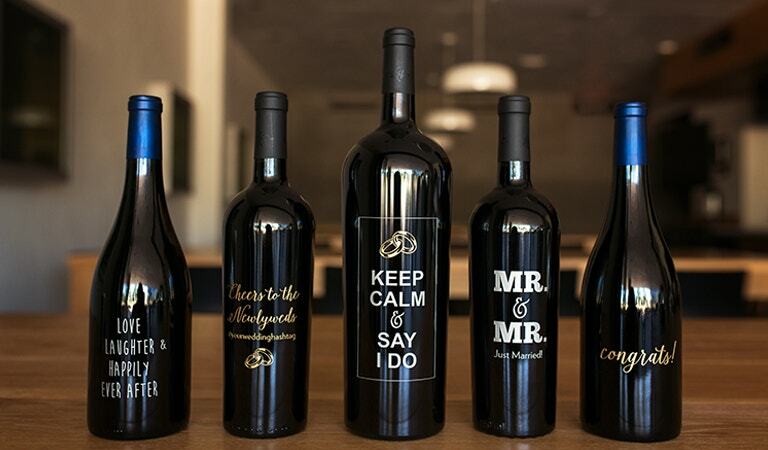 We have a great etched bottle program for those looking for a personal touch. We offer etched bottles in 750 mls, 3L and 6L. Etch your company logo, initials, or a personal message to customize your event.